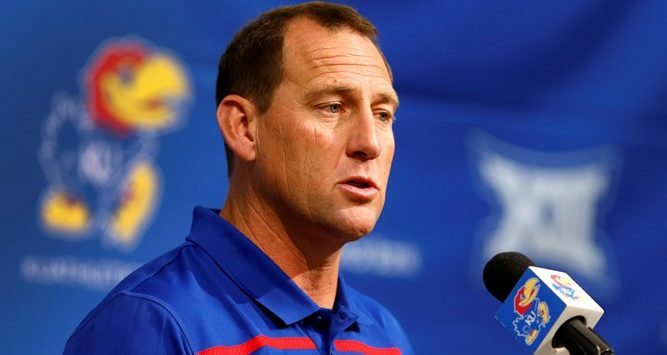 Kansas football coach David Beaty held his weekly press conference on Tuesday, recapping KU’s loss to Baylor last weekend, previewing this coming Saturday’s game versus Oklahoma State and more. Beaty provided injury updates on quarterback Miles Kendrick and defensive back Ricky Thomas, while also discussing the performance of cornerbacks Corione Harris and Hasan Defense. Plus, Beaty talks about burning timeouts on fourth down, continually improving and more. KU welcomes Oklahoma State for kickoff at 11 am. Pregame starts at 9:30 on Real Country 101.7.